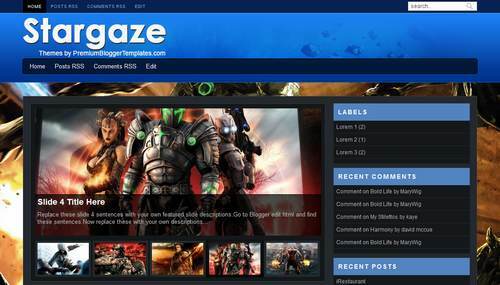 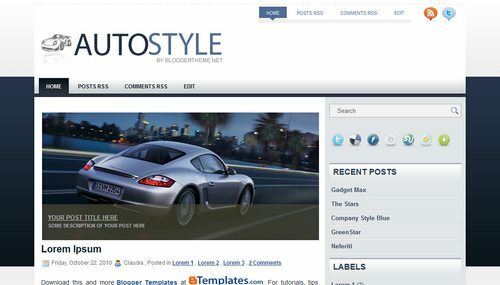 Gadget Max is a free premium blogger template adapted from WordPress with 3 columns, right sidebar, magazine-styled, space for ads and slideshow. 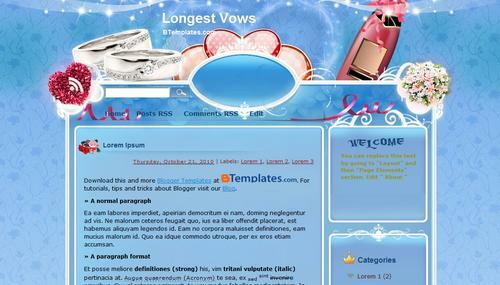 Excellent layout for blogs about electronics. 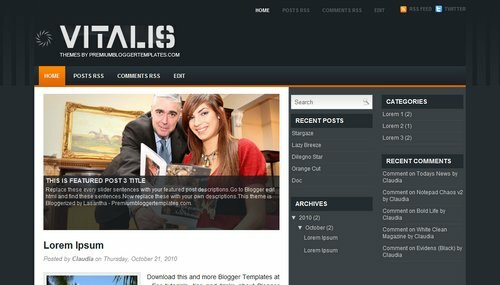 Vitalis is a free premium blogger template adapted from WordPress with 3 columns, right sidebar, magazine-styled, space for ads and slideshow. 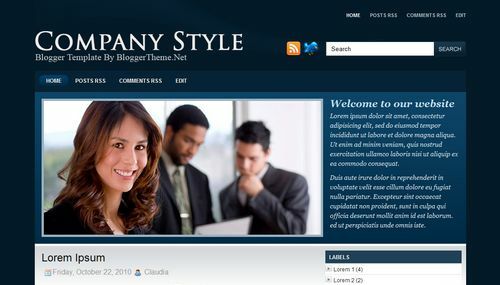 Orange Cut is a free blogger template with 2 columns, left sidebar, rounded corners and footer columns. 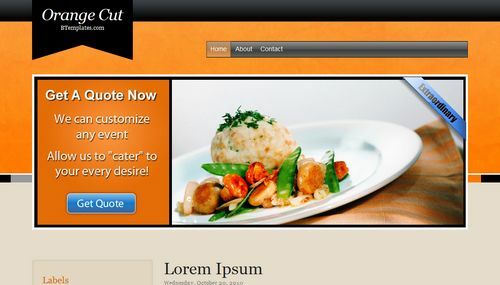 Excellent layout for blogs about food and drink. 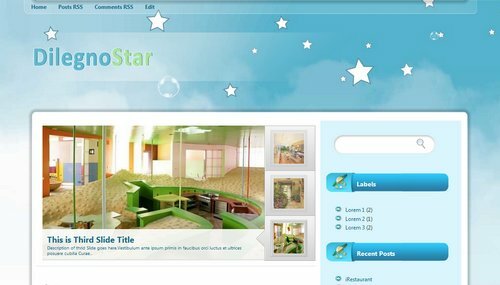 iRestaurant is a free premium blogger template adapted from WordPress with 2 columns, right sidebar and magazine-styled. 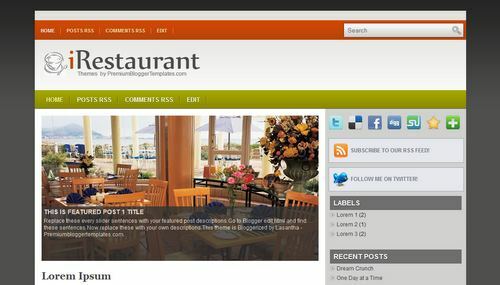 Excellent layout for blogs about food and drink. 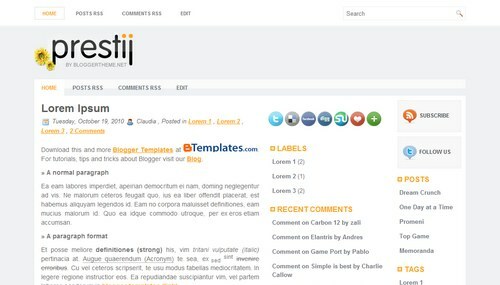 Prestij is a free blogger template adapted from WordPress with 3 columns, right sidebar and simple look.